Writing hit the back burner in 2016 due to day job issues, but I still kept at it. I’ve got a few things to show for my efforts, and hope there will be more in the future. I volunteered for SFWA as the Nebula Awards Commissioner and learned more about awards and the organization than I imagined. I also gained some insight into promoting work for awards. As the commissioner, my work isn’t eligible, but I quietly watched others promote their work, some of whom made the Nebula ballot. If you talk about your writing, if you tell people you’re eligible for awards, then you might just be bringing your work to the attention of the right people when it matters: during the reading period for nominations and votes. Bottom line is that rather than spamming your feeds with the same publication daily/weekly, you should be smart about the timing. Know when which awards have their reading periods. Find out who the nominating and voting parties are. Twitter and Facebook are my media tools of choice, and I saw plenty of award eligibility reminders from different people and never felt like I was being spammed. Believe in your work, people. If you don’t, then why should anyone else? Two of my favorite stories (they’re like children, they’re all my favorite) which were both published in 2014, have recently been republished. “Time Monkeys and the Fullness of Glasses” reprinted in Bards & Sages Quarterly April 2017, and “Cara’s Heartsong“, reprinted in Luna Station Quarterly December 2016. 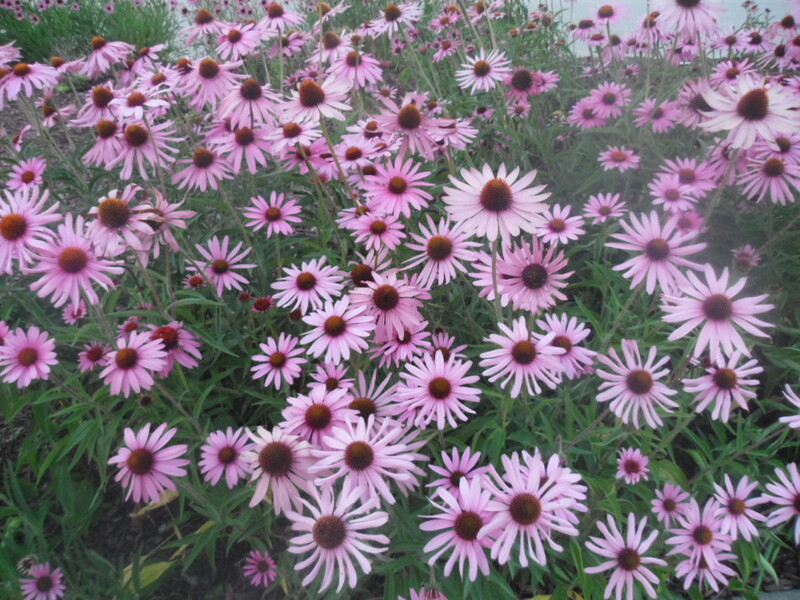 (See “my writing” section for links). A newly penned flash fiction has caught the eye of Fireside editors and will be published in their lovely zine sometime in the future. I’ll post a link when it’s out. Finally, I’ve reworked my writing method this year and enjoying the results. I’ll be posting more frequently. I’ve been tempted to revive the “Read It and Write” short story reviews. I’ll let you know how that goes. 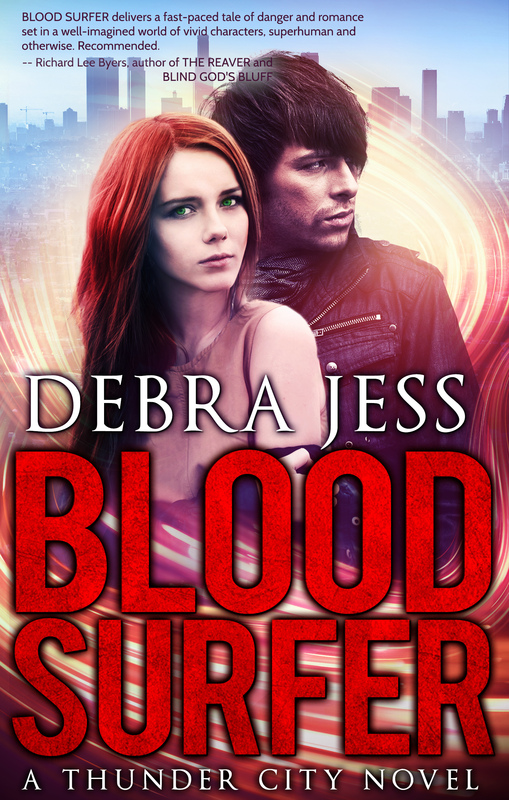 Happy Release Day to Debra Jess, who has just published her superhero romance, Blood Surfer. Super powers plus romance, how is this not a good mix? Debra and I met several years ago at a writing workshop and I’ve asked her here to talk about this book and her writing experience. Dawn: Debra, thanks for joining us. You’ve already given us a lovely snippet on your web site (www.debrajess.com), so let’s dig into this. Who is your favorite superhero (or villain!) and how have they influenced your writing? Debra: I’ve always enjoyed superhero teams instead of individual superheroes. For me, a character like Batman isn’t very interesting on his own, but when you mix him up with the Justice League, when you get to see him interact with his peers and have to deal with the group dynamic – that’s when he becomes interesting. If Batman’s not with the Justice League, then at least I want to read about him when he’s with one (or more) of his sons. The family relationship sets up stressors that puts pressure on a hero to act in ways he normally wouldn’t if he were operating solo. That’s when characters become unpredictable. I love it when characters act outside of their comfort zone. I think this was how I first realized the necessity of using tension to build a story. If you know the superhero will always defeat the villain, no matter how clever that villain may be, what do you have to do to keep the reader turning the page? Where’s the tension and how strong can you make the tension before your hero rises above the chaos to win the day? Dawn: Speaking of Batman, let’s talk about introductions. Traditionally, super heroes and comic books have been marketed toward boys. When did your interest in superheroes begin and did this impact you in any way? Debra: When I was little, I watched the Superfriends cartoon. Some friends of mine had comic books they would let me read on occasion, but there weren’t any stores nearby where I could get my own comics – at least not on a regular basis. Because of this, there were always gaps in the storylines. I had to use my imagination to fill in those gaps. I had to guess at the hero’s motivations and the villain’s previous dastardly deeds to figure out how they got from point A to point D, without knowing for sure what happened at points B and C.
I think this is why all of my characters, not just the ones in BLOOD SURFER, have such complicated histories. No one has a simple past. I can’t help but let my imagination go crazy with building the worlds in which my heroes live. Dawn: Blood Surfer is a science fiction romance, focusing heavily on romance rather than treating it as a mere subplot. First, why science fiction instead of fantasy? Have you felt a bigger pull toward one genre or the other? What inspired you to combine these elements? Debra: One of the organizations I’m a member of is the Science Fiction Romance Brigade. To figure out where on the spectrum of science fiction to fantasy my superheroes fell the Brigade asked me how do my superheroes generate their powers? Is it science based or magic based? All of the “alternative humans” in BLOOD SURFER have a biological basis for their superpowers. Take away the biological tie and they become normal humans. Biology is a science, so it’s science fiction by the Brigade’s definition. I’m happy with the explanation. Dawn: What about the romantic aspect of the story? What inspired to you to make this story a romance? Debra: I always knew BLOOD SURFER would be a romance and would have a happily ever after. I’m not a fan of pyrrhic or bittersweet victories which seemed to dominate the SFF genre when I first started reading it in the 70s. In a way, the endless string of depressing stories in SFF is what drove me to read romance novels in the first place. The happily ever afters of romance novels made me feel optimistic about relationships between people in a way SFF at the time couldn’t. The world around me was depressing enough. I didn’t want it in my fiction. Dawn: If someone produced this into a movie, who would you envision playing Scott and Hannah? Debra: I’ve gone back and forth about whether or not to reveal my “face actors” for my characters. I use them all the time, especially when I have difficulty figuring out how to describe my character. On one hand, I want to shout, “This is what Scott looks like. This is who Hannah resembles”. On the other hand, I don’t want to ruin anyone else’s idea of what these characters look like. I want the readers to interpret the characters on their own. So how about a compromise: I won’t tell you who the face actors are for Scott & Hannah, but I will tell you that Catherine Blackwood (Captain Spectacular) and Thomas Carraro (Hack-Man) were inspired by Pierce Brosnan and Rene Russo from the 1999 remake of the Thomas Crown Affair – one of my favorite movies of all time. Fair enough? Dawn: If Disney made a ride out of your story, what theme park elements would be included? Debra: What a very cool question. It’s ironic because Walt Disney World used to have a ride called Body Wars that took you on an adventure inside the human body, exactly as Hannah does in BLOOD SURFER (except Hannah doesn’t use a ship). In EPCOT there’s Sum of All Thrills which could be used to simulate flying with Rumble and Roar. EPCOT also has Soarin’ could simulate a ride on Highlight’s Light Slide. The Haunted Mansion could be renamed The Blackwood Estate and Ghost himself could scare you as you walk through. Spritz would have a field day at either Typhoon Lagoon or Blizzard Beach. I’m not sure I’d want to put Donald Duck and Blockhead in the same room together. It could get messy. Oh, this is too much fun! Better stop now or I’ll just go on and on. Dawn: Are there any super heroes in your life? Debra: My family are not just superheroes, they are cheerleaders and have supported me in a lot of ways while I chased my dream. Also, everyone who has helped me get this book ready for publication – editors, beta-readers, and others have have stood by my side – you all are heroes in my book (metaphorically speaking). Dawn: Is there anything else you’d like to share with us? Debra: There are at least two more novels featuring Scott and Hannah in the works. This November, Seeker – who plays a small but critical role in BLOOD SURFER, will have his story told. It’s a short story called VALLEY OF THE BLIND. Seeker became a hero long before he met Scott & Hannah. Then in January, Spritz’s story, SLOW BURN will debut as another short story. You’ll learn how Spritz and Blockhead became partners. I hope everyone will enjoy Seeker’s and Spritz’s stories just as much as they will Scott & Hannah’s. Thanks for joining us, Debra, and good luck with Blood Surfer. Links for purchase are below. Now if you’ll excuse me, I have to go read mine. Have you ever regretted a decision you’ve made, or traced a string of unfortunate events back to one innocent choice? Superposition by David Walton is a science fiction mystery that hinges on exactly that. Jacob Kelly is a family man, having given up the high tech world to teach science to college students. That all changes when he makes the singular decision to have pity on an old friend Brian Vanderhall, whom he invites into his home. This one moment begins a series of events that lands Jacob into a heart wrenching mystery of his murder trial while who knows what has happened to his family. In a blend of science fiction and mystery, we follow Jacob on a wild ride of physics that has the potential to baffle the normal Joe but Walton builds his characters to present the science in a clear manner that doesn’t make the reader feel uneducated but rather take joy in learning something new, unlike Brian Vanderhall, who is agitated and nervous to the edge of panic when he begs Jacob for help. Brian is the mad scientist of the story, bringing disaster to his own life as well as Jacob’s. Others are drawn into the chase and legal battle. Front line on Jacob’s team is Terry Sheppard, a defense attorney who wears leather boots in a Philadelphia courtroom. What’s not to like? He’s on Jacob’s side and keeps our hero cool when he gets fired up. Jacob’s brother-in-law, Marek Svoboda, accompanies Jacob on his adventures inside the New Jersey Super Collider where science turns nightmare. A former co-worker, Jean Massey, volunteers to be a subject matter expert despite the person effects on her marriage. Jacob’s daughter Alex shows us a side of our hero that the parented among us can sympathize with. Alex is smart, spunky, and endearing. She’s also coping with her own failings in this story. Both Jacob and Alex have to deal with reality distorting effects of Brian’s work. They question their worth while worrying about the ends of their own existence, while trying to solve the mystery. Alex is the silent hero of the story for me, noticing the things she does, fighting for something bigger than herself. I thoroughly enjoyed this book on so many levels. First, the combination of science fiction and mystery. This isn’t merely a mystery taking place in a science fiction book. 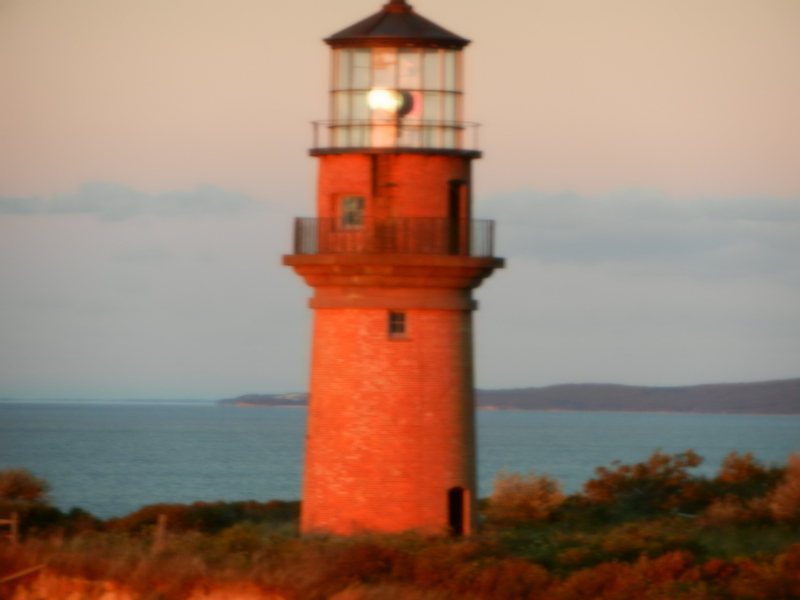 It’s a mystery that builds on and is deepened by the science fiction. The book takes place in our near future, near enough that the transition is easy to believe, but that the story couldn’t exist without the new technology, or without the madness Brian wrought. I love that Jacob, who is as smart as Brian, is struggling with parenting issues alongside his own grief. He’s not perfect, but his heart is in the right place. It makes him real, and it makes me root for him despite wondering at times if he might be guilty after all. I love the ending, I loved that I had questions about a particular involved person, but didn’t quite put it together until just before the big reveal. There are scenes I wanted to cite, exchanges between Jacob and Alex, but those would spoil far too much. One of the points I enjoyed, is that the children in the story weren’t perfect; Jacob’s son Sean had a physical disability (which wasn’t treated as a disability in their lives), and that Jean’s child was a special needs child. Details that come up and form the strength and resolve of these characters, parent and child alike, it opens windows into their existences. I’ll be honest with you: when I get moving on a story, I give up sleep and stay up late to read. I was so riveted in this book, I sent the kids to play in their rooms. We had take-out for dinner. And who needs clean laundry on a Saturday? Superposition was my first David Walton read. It won’t be the last. As far as this novel goes, if you like science fiction in our own world, if you like a good mystery, then I expect you’ll enjoy it. I do recommend you send the kids to play, and cancel your plans for a day or two. Once you start reading, this book is damned hard to put down.